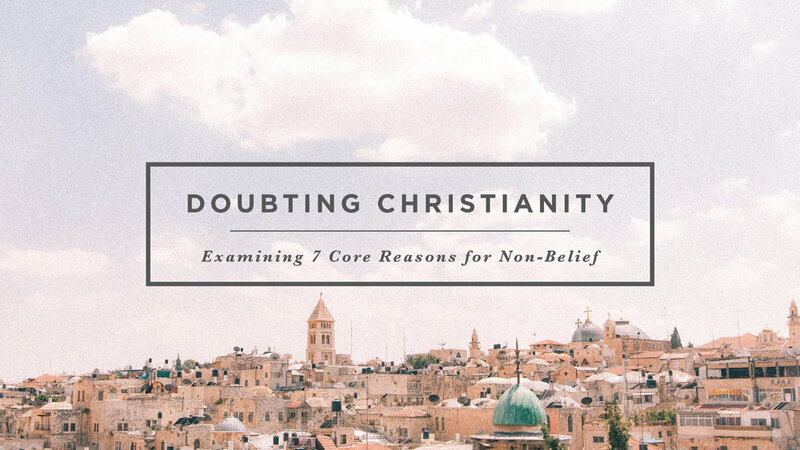 Our current seven-part sermon series titled, “Doubting Christianity,” examines seven core reasons why many people struggle with the claims of Christianity. Please join us for the conversation, and please invite friends who might be asking one or more of these important questions! April 21: Isn't Easter Just a Made-up Fairy Tale? April 28: With All This Suffering, How Can God Be Good? May 5: Isn’t Christianity Too Narrow Minded? May 19: Shouldn’t Everyone Define Their Own Truth? May 26: Isn’t the Bible Unreliable and Outdated? June 2: Haven't Christians Hurt a Lot of People? June 9: Can a Wrathful God be Loving?